Fresh off of a 17th-place effort last weekend at Atlanta Motor Speedway, Danica Patrick and the No. 10 Aspen Dental Ford Fusion team for Stewart-Haas Racing (SHR) enter Sunday’s Monster Energy NASCAR Cup Series Kobalt 400 at Las Vegas Motor Speedway ready to gain momentum to help propel them to greater successes through the rest of the year. Patrick started the season with a 33rd-place finish at Daytona (Fla.) International Speedway, but the result wasn’t indicative of her No. 10 Aspen Dental Ford team’s overall performance during Daytona Speedweeks. 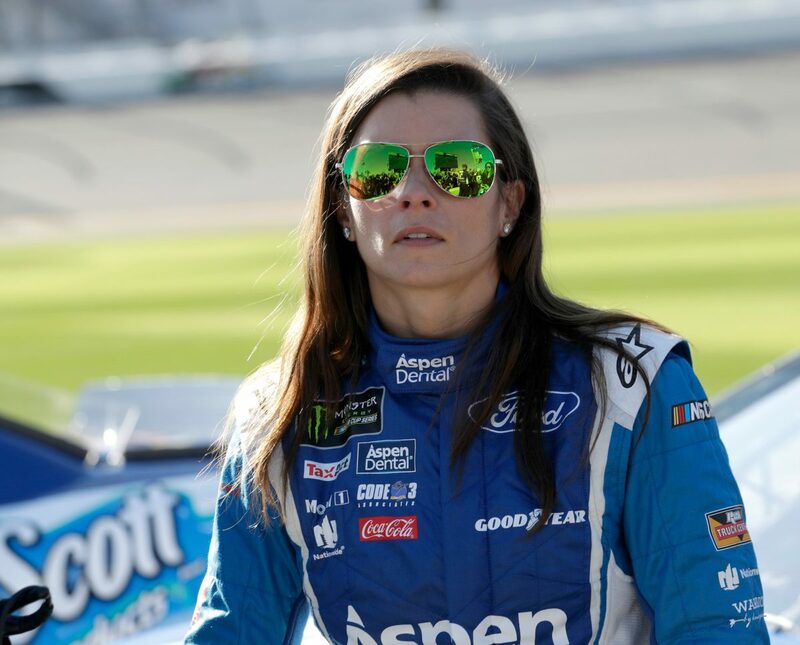 Patrick earned finishes of fourth and sixth in the Advance Auto Parts Clash and Can-Am Duel, respectively, and she was scored as high as second in the Daytona 500 before her solid performance ended prematurely due to a multicar accident. Last weekend in Atlanta, Patrick started 24th, was scored as high as 15th and came back from being two laps down to finish on the lead lap in the 17th position. While the results of the first two race weekends haven’t been as good as Patrick would like, they have put her and the No. 10 team well ahead of where they were at this point last year. In 2016, Patrick entered the race in Las Vegas ranked 29th in the driver point standings. This weekend she heads to the track 22nd and hopes to continue to improve. While Patrick has yet to finish inside the top-20 at the NASCAR Cup Series level at Las Vegas, she is no stranger to success at the 1.5-mile track. In 2011, she brought home a fourth-place finish in Xfinity Series competition. That effort marked the best-ever finish by a woman in a NASCAR national stock-car series, topping a fifth-place run by the late Sara Christian in a NASCAR Cup Series race in 1949 at Heidelberg (Pa.) Raceway. As Patrick and the No. 10 Aspen Dental Ford team return to Las Vegas this weekend, they plan to improve upon her NASCAR Cup Series results at the track in an effort to continue building momentum. Are you a fan of going to Las Vegas? There are a lot of logistics involved in the West Coast swing. What do you do? Do you stay out West or do you commute like you would to other NASCAR races? Coming out of Daytona, we hit a stretch of the season that includes Atlanta, Las Vegas, Phoenix and Fontana. How important is that slate of races?